The Austin twenty horse power model was introduced soon after the end of the Great War and remained in production until the 1930s, by which time some 19000 models had been manufactured, mainly for chauffeur-driven customers that required their motor cars to be clothed in formal coachwork. Many examples found their way directly to Australia and New Zealand, and interestingly, while most 20/4s were in Tourer form, only two each of the Drophead Coupe and Sports models were ever produced by specialist coachbuilders. 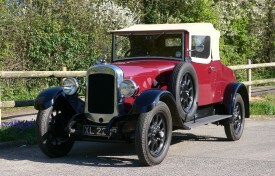 The chassis of this example was manufactured in 1926 as a ’27 model, completed as a four-seat Tourer and first registered on the 1st January 1927. We are told that the motor car was requisitioned during World War II, fitted with extra strength rear road springs and used as an ambulance. Post war, XL 2299 was rebuilt to its present form by coachbuilders Mulliners, and their name plates remain fitted to the door shuts. In 1965 and with only 3000 miles covered, a Mr J Greenaway of Southampton restored the Austin; by 2000, ownership had passed to a Mr J A Harris of Salisbury and the 20/4 was now finished in cream and beige. Eleven years later, Mr Robert Allin of Folkstone became custodian and the motor engineer refurbished the motor car as a retirement project. Work included a thorough mechanical check, the rebuilding of the carburettor, and an overhaul of the engine top end and the braking system; the shock absorbers were also renovated, and the leather bound road springs rebuilt. Mr Allin resprayed the motor car in its present colour scheme of maroon with black wings, and installed a very useful petrol gauge. Due to ill health, ownership then passed to the current custodian, an active and long term member of the Vintage Austin Register, who had new sidescreens fitted in 2015. For the new owner, the VAR offers technical assistance, support and an excellent spares back-up. One of just two Drophead Coupes known to exist, this rare, imposing and powerful Austin remains in very good order and is surprisingly easy to drive. 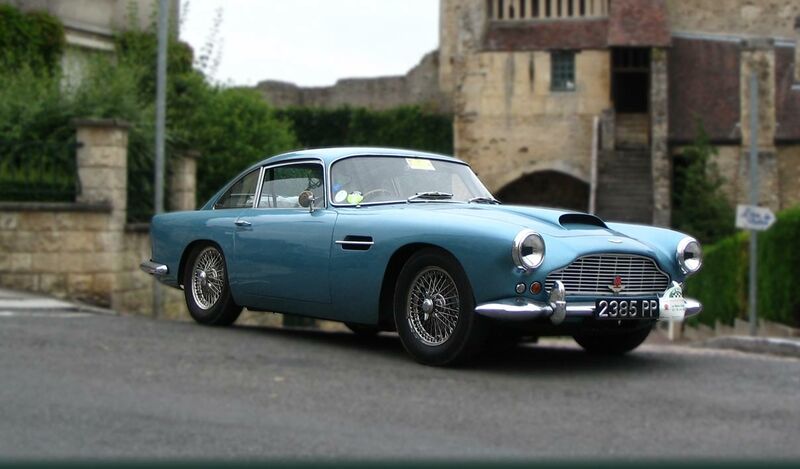 It has had a number of successful rally outings in the past; notably, in 1990 it was awarded second place in the Victor Ludorum Concours d’Elegance Veteran Car Club Diamond Jubilee Rally. 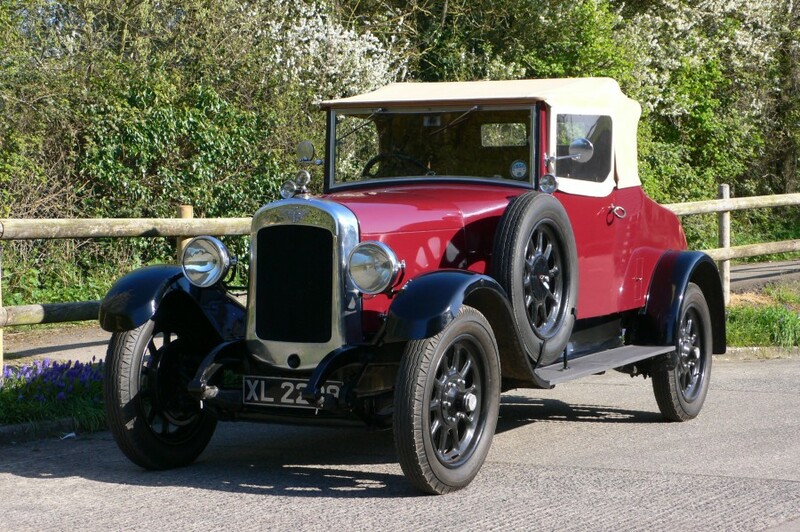 The extensive history supplied with the Austin includes photographs, a handbook, data, wiring diagrams, a copy of a 1925 Autocar road test report, some road tax discs, invoices, sundry MOT test certificates and the V5C registration certificate.